September is a month of big change in our household as my youngest will be starting school, for the first time all three children will be in full-time school. I have mixed emotions about this as Jacob has only just turned four so will be one of the youngest in his year group, however, I think he is ready for full-time school and that he will hopefully enjoy it. He is doing two weeks of half days to settle in and get used to his new teachers and classroom and then he will start full-time. My eldest has also started year 11, her final year in school and her GCSE year so she also has a big year ahead of her and Sophia has gone into year 1. Hopefully, I will have more time to blog and keep the house tidy now the children will all be in school. Anyway, let's have a look at some of the things that I have loved from the month gone by. 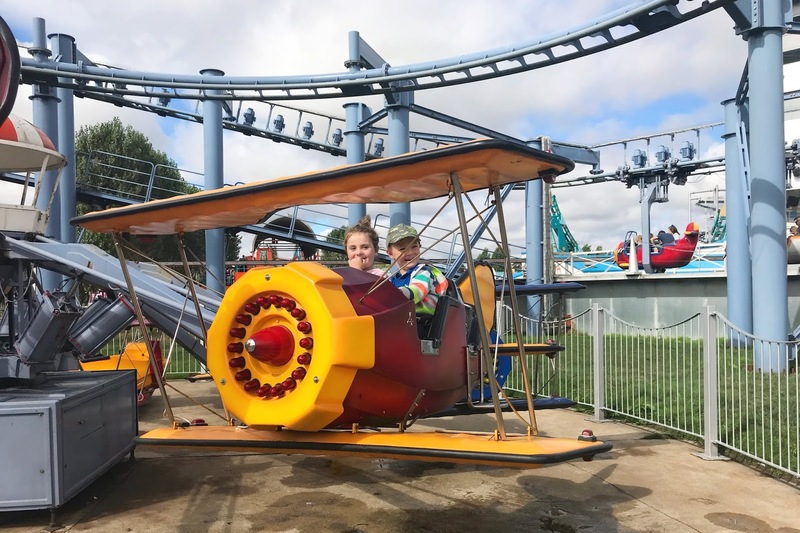 On Jacob's birthday we headed to Flamingoland for the day, it was the first time we had taken the children to a theme park and they loved it! They enjoyed going on the rides and seeing the animals and we had a really lovely day. Myself and Sophia went to see Paw Patrol Live at the arena with my friend and her little boy, the children really seemed to enjoy the show and it was nice to catch up with my friend. I also really liked being able to do something just me and Sophia as I rarely get any time on my own with her. My little boy turned four at the end of the month, I can't believe he is now four and off to full-time school. We celebrated his birthday with a day out at Flamingoland and we also had a family BBQ the day before and he had a pizza party a few days later which he really enjoyed. We got him a Buzz Lightyear toy, a toy story remote control car and a big garage for his cars as gifts. My brothers birthday is the day before Jacob's so we had a family BBQ at my dad's house to celebrate both their birthdays. It was a really nice day, my dad cooked some nice food, I especially liked his sambol coated chicken and the children enjoyed playing with their cousins and eating kebab sticks. 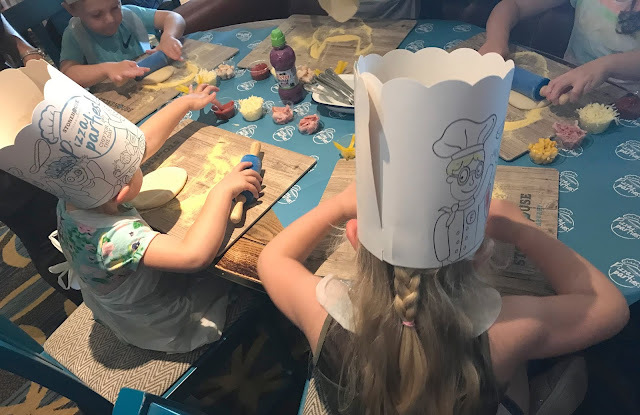 A few days after Jacobs birthday we asked to review a pizza making party at our local Stonehouse pizza & carvery, The Astley Arms. It was so much fun and such amazing value that I have been telling everyone about them. At the start of August, we had a family staycation at Jurys Inn Newcastle, It was nice to be a tourist in our home city and the little two thought it was fun staying in a hotel so close to home for the night. It was nice spending time together as a family and doing something a bit different. We were invited along to see The Moscow State Circus at the Town Moor and we had a brilliant time. Sophia adores The Greatest Showman film so she was in awe watching the acrobats and stunts. It was a great show and a lovely family afternoon out. At the start of August, we were invited to see The Wizard of Oz pantomime at the Whitley Bay Playhouse, the other half was at work so myself and three children went along to see the show. It was a great panto and all three children really enjoyed it and were laughing along, you can't beat a good panto. We had a day out at Adventure Valley, Sophia was invited to her friends birthday party and we decided to take Jacob along for a day out too. It was the first time we had visited and it was so much fun and I think we will definitely return one day. At the end of the month, myself, teen and my dad and his partner went to see Kynren in Bishop Aukland, Durham. It was an amazing show and surpassed my expectations, it was not like anything I have ever watched before. It was an outdoor live-action show telling the tale of the past 200 years of England, the cast was amazing, the set was fabulous and the stunts had me holding my breath it was just incredible and we all thoroughly enjoyed it. So those are the things that I have loved last month, how was your August? I have linked this post up to A Cornish Mum liked and loved linky. Wow! What an August! I would love to hear more about your trip to Flamingoland as it's not really too far from us and we've never been!